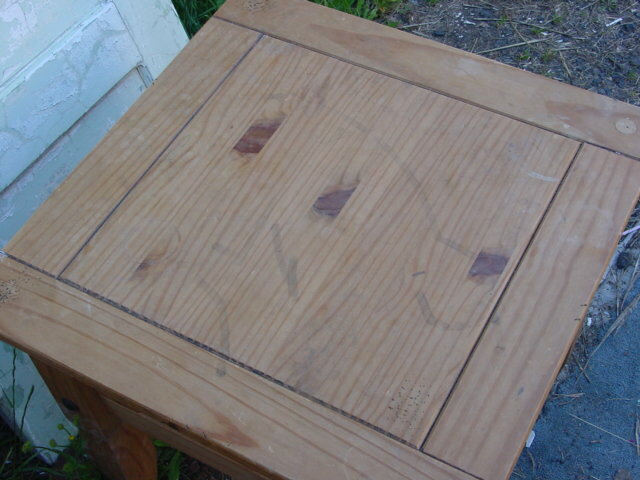 Big ole table pedestal (hollow core). Not sure what we’ll do with it yet, but couldn’t pass it by! 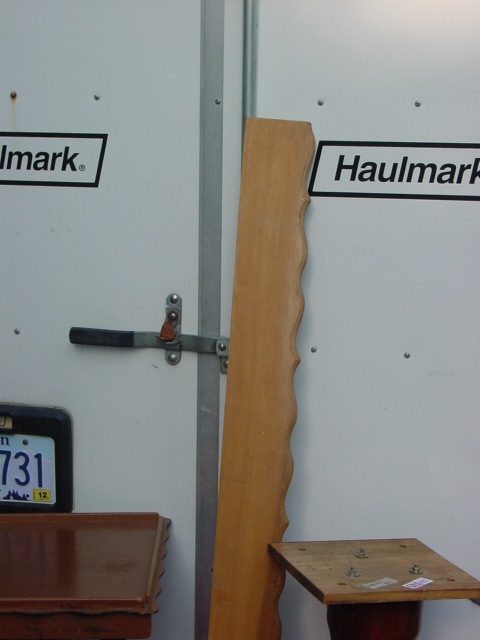 And a nice piece of trim; long enough to use on 2-3 different projects! Rest of the piece of trim. 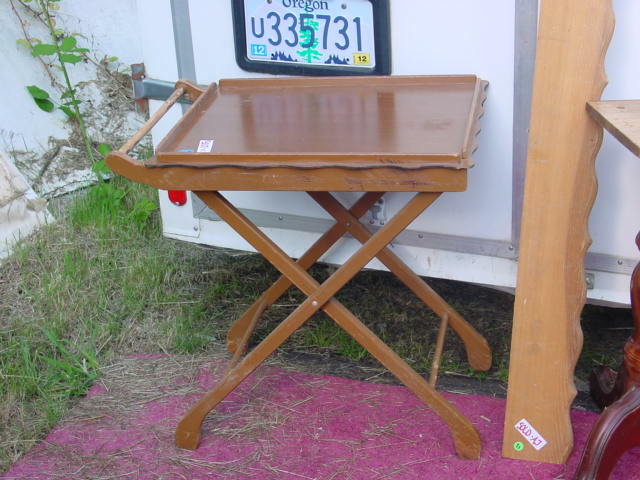 Tea cart style folding tray table. 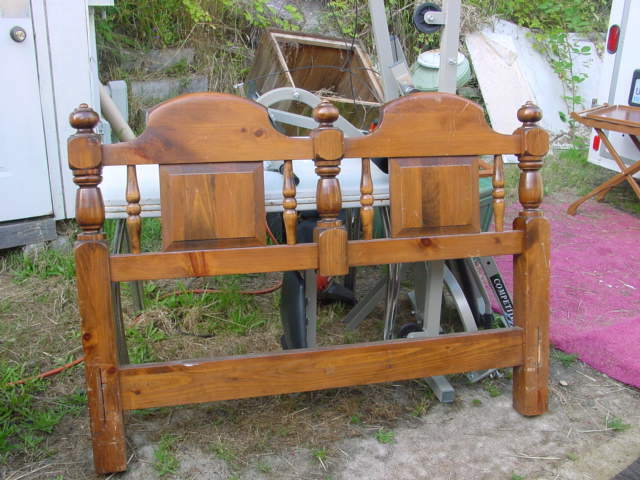 Big bulky old full size headboard. Maybe to use as the back for a bench?? 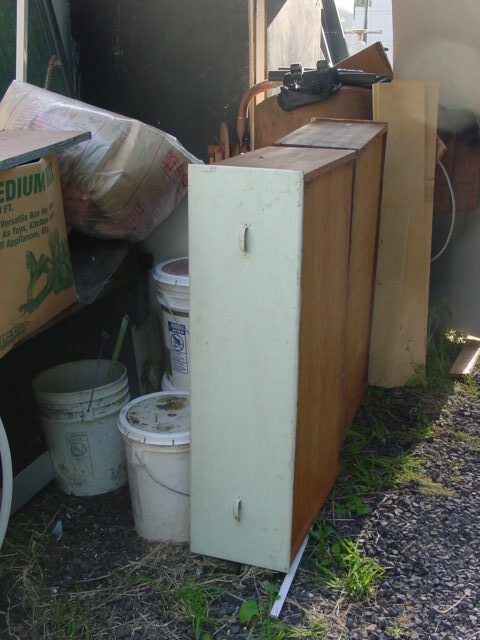 Michael scrounged these GINORMOUS drawers! 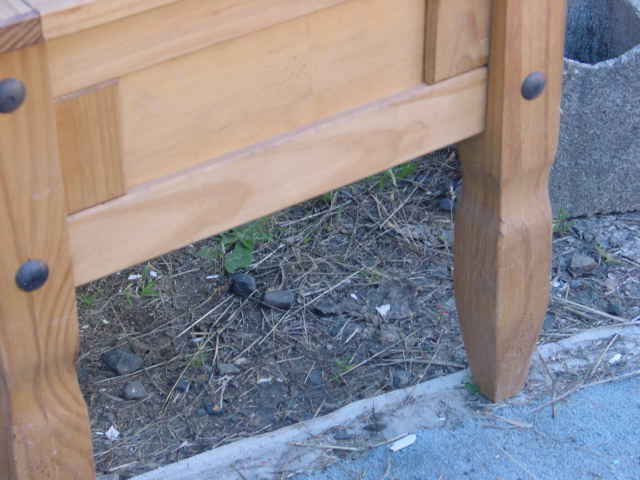 I have NEVER seen drawers this big; FOUR feet across?!?! And with the cool ‘cup type’ pulls. I can’t even imagine what these babies were ever used for. They’re SO big that by the time they are filled they’d be too heavy to pull open. Not sure what to do with them yet. They’re big enough to just flip over and use as a bench! Anyone know what they might be from? 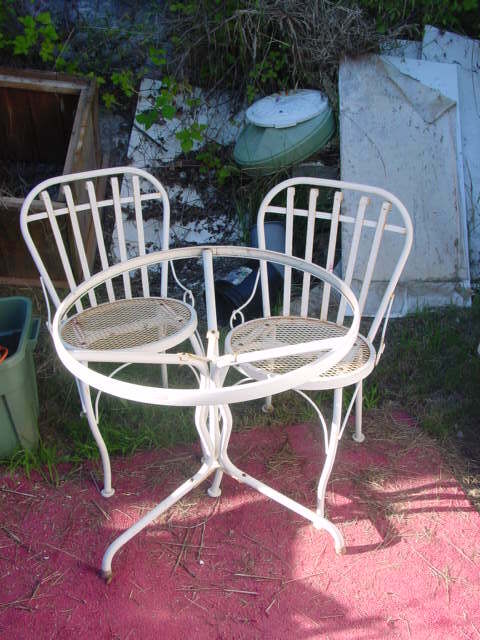 Sweet little rusty white bistro set; glass missing from table though. Unique chair design; different from what you typically see. 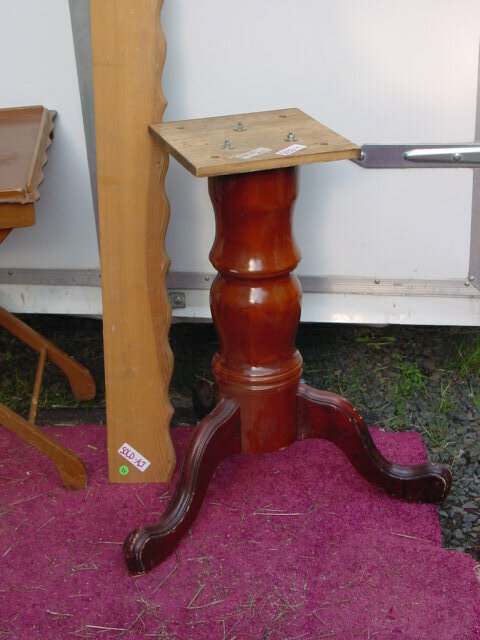 Chunky wood end table. Not sure if it will get painted beachy blue, white or black. Top detail, might work to paint a design in the center?? Nice bit of detail on the legs. 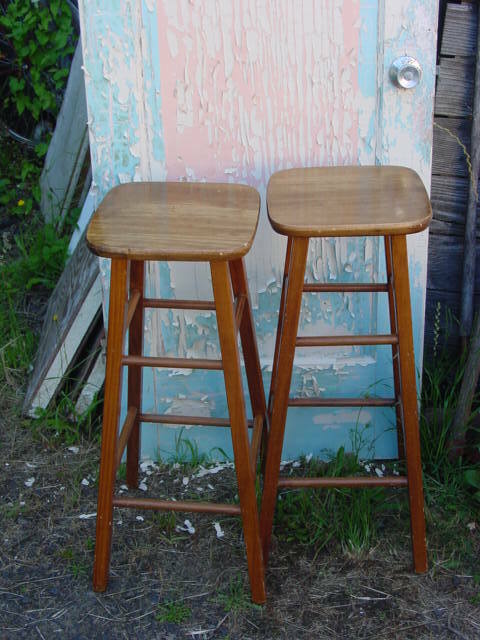 Pair if bar stools that were REALLY wobbly, so they were really CHEAP! 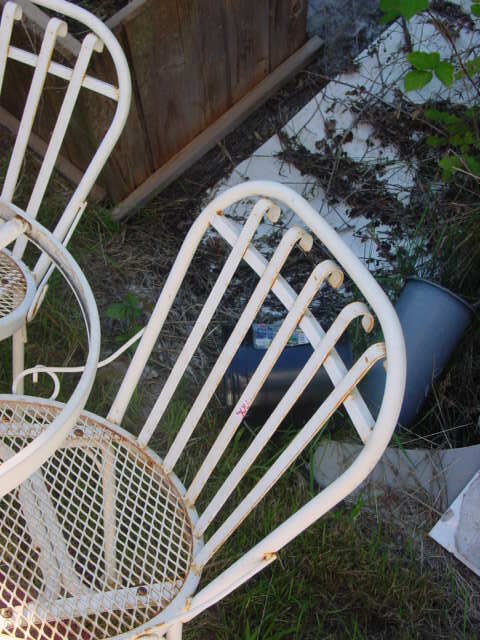 I just removed the seats, added some glue to the holes and pounded the seats back on with a mallet. Good as new now! 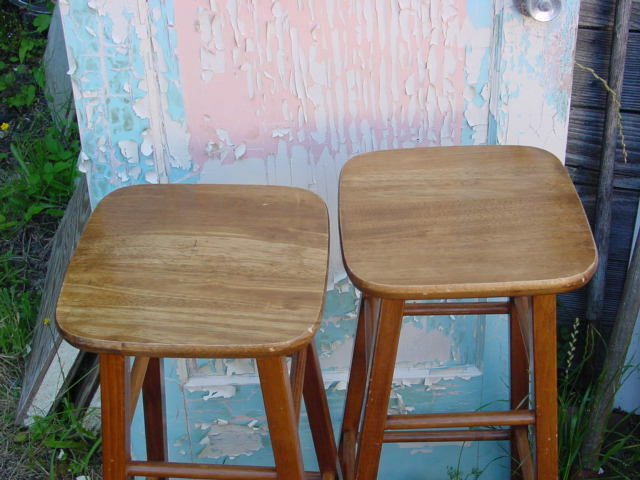 Will probably leave these as bar stools and just repaint them. Love the bistro set!!! 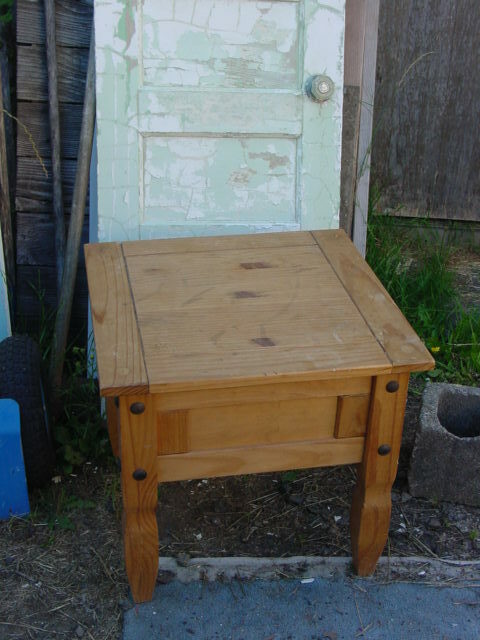 One of those huge drawers would be cute with little legs on as a display coffee table with a glass top added.